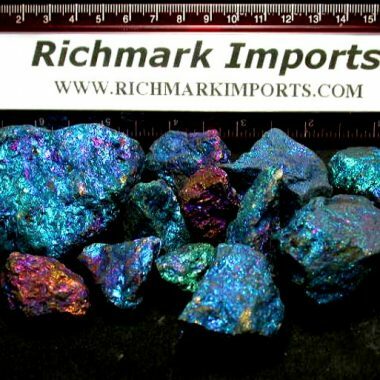 Random 1 pound sampling of rough Chalcopyrite chunks offered in this auction. 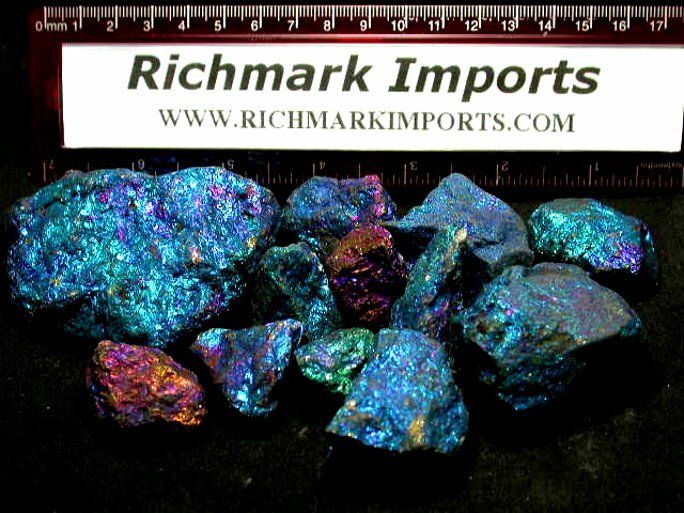 This Chalcopyrite rough has incredible color. The natural brassy yellow has tarnished to wonderful iridescent blues, greens, yellow, magenta, and purple which is why many call it peacock stone. It is a stunningly beautiful ore.
We scoop each lot at random which gives everyone the same great opportunity to find nice specimens. Sorry, we're temporarily out of stock on this item.